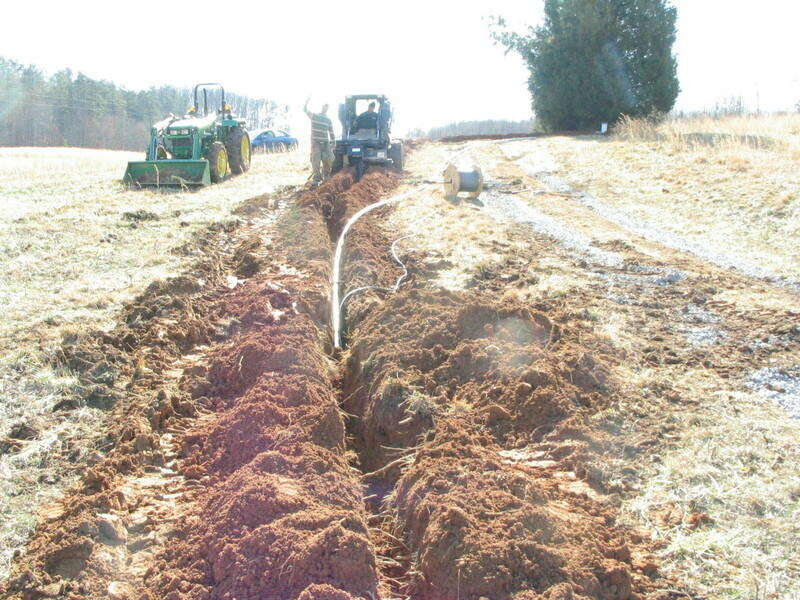 Our plumber came and put in the water lines this week. 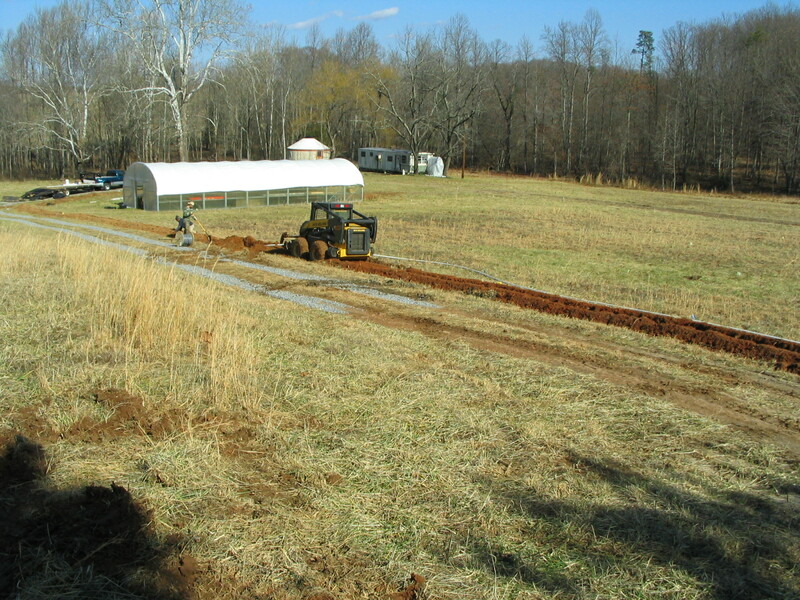 The work is not completely done yet, but all the pipelines are in from the well to the yurt and into the fields for irrigation. He also ran an electric line into the greenhouse so we’ll have power there. 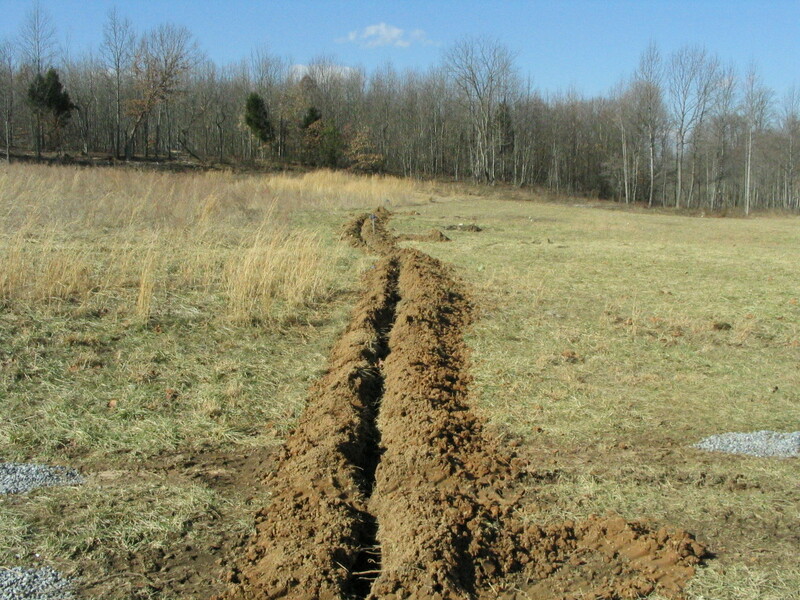 Here is the water line into the small field. 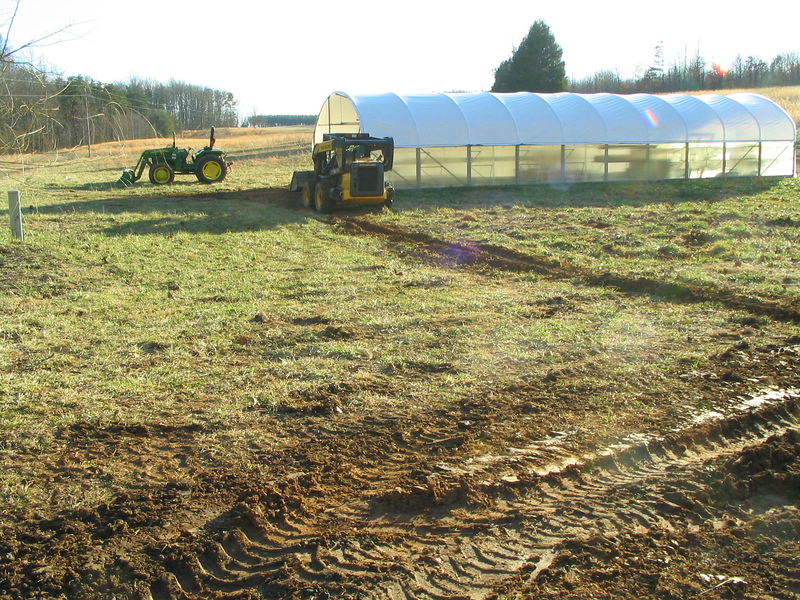 Covered water and electric lines to the greenhouse.